Kennebunk Code Enforcement Officer Paul Demers points to different areas of town that could be affected by revised FEMA flood maps. In the wake of hurricanes Harvey and Irma, observers are predicting that premiums for a cash-strapped federal flood insurance program are likely to rise. Along the Atlantic coast, meanwhile, communities from Rhode Island to Maine are already mounting a related challenge to the program: the accuracy of federal flood maps maps that designate who must pay those premiums in the first place. Insurance broker Robert Foley’s home, in the southern Maine beach town of Wells, happens to fall within a zone that the Federal Emergency Management Agency says stands a significant risk of what’s called a 100-year flood. That doesn’t mean dangerous flooding will occur only once every hundred years, just that there’s a small but significant flooding risk every year that storm-driven waters will rise well above ground level. So when he built his home 30 years ago in a marshy area, he raised it high and tried to flood-proof it. “We put in vents and put in flow-through vents so if there ever were a flood the water would flow through and not get up into the second floor,” Foley says. He hasn’t had a flood yet, and the investments helped secure the best possible rate for federal flood insurance required by his federally backed mortgage. He built his first floor a foot above the 10-foot water mark — the level that federal flood maps indicated a 100-year flood would reach, at his location. Kennebunk officials say revised FEMA flood maps could affect properties here, on Great Hill Road. Now FEMA is proposing updates to the maps, and they would raise the likely flood elevation by three feet. That puts dozens of properties in town that were previously outside the flood hazard zone right in the bull’s-eye. Some by as many as ten times, as high as $8,000, Foley says. That pole-vault of an insurance hike is why Wells and many communities up and down the New England coast are challenging FEMA’s maps. It’s not that they don’t want buildings to be properly insured, but that they think FEMA is in many cases overstating the risk — and, in some cases, understating it. “The maps may be mostly correct as they are — but they can be more correct,” says Nathan Dill, who specializes in hydrodynamics for the New England-based Ransom consulting group. 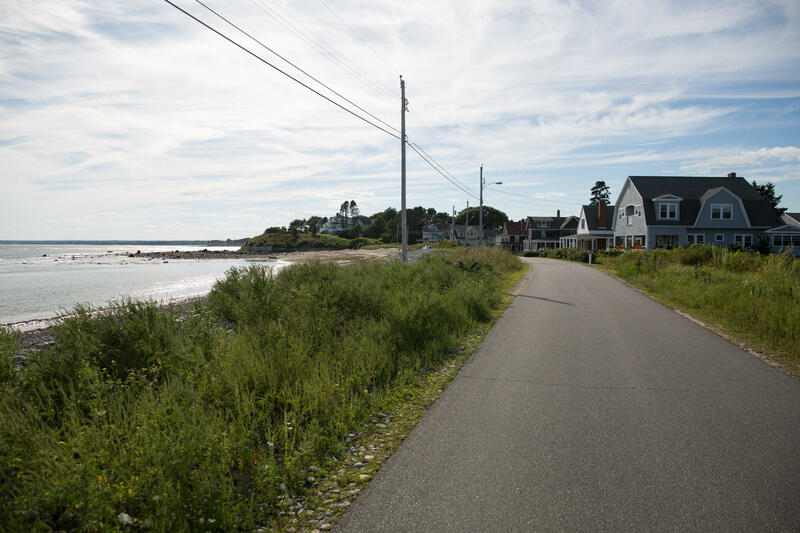 Six coastal Maine towns — including Wells, Kennebunkport, South Portland and Harpswell — are hiring Dill for a big data-crunching project to make maps more accurate than what FEMA is offering, and more useful for flood planning beyond basic insurance issues. Kennebunk officials say revised FEMA flood maps could affect properties here, on Peninsula Drive. Dill uses massive digital data sets for on- and off-shore topography that can bore in to just a few meters from one data point to the next. It’s called two-dimensional modeling. “We will simulate a number of historic nor’easter-type storms that occurred, and then we’ll simulate a number of possible tropical storms or hurricanes that could occur, and then use the results from that modeling analysis to determine what the flood hazard statistics are,” he says. FEMA actually uses similar high-tech methods in the rest of the country. But its New England maps rely instead on historic data from 18 widely dispersed tide gauges that dot coastal waters, plus some records of high-water marks from big storms, like the blizzard of ‘78. Kerry Bogdan, a senior FEMA engineer for the region, says that such one-dimensional analyses are appropriate here because New England’s gauge records go way back, in some cases more than a century. “We’re getting numbers based on, ‘This actually happened here, it was observed here,’ versus the two-dimensional is all computer-simulated storms,” she says. FEMA will consider the computer-generated hazard analyses, as long as they can be validated by testing them against real-world storms of the past. Robert Foley, also a state representative, says many more low lying properties like his will be added to federal flood zone maps, costing some homeowners a bundle for new flood insurance. The opening in his foundation, seen here, is designed to let floodwaters flow through. But New England communities say there’s another big problem with FEMA’s methods — overreliance on the risk posed by a phenomenon known as wave setup. Leslie Fields, a coastal coastal geologist at Cape Cod’s Woods Hole Group, says that’s when a storm surge piles up waves inshore. “Really wave setup is a process that attenuates. Once that wave breaks on that barrier beach, that wave energy is reduced, and that increase in water level dissipates, it disappears as you get to the inner edge of the flood plain,” she says. The argument has helped several communities get FEMA to change its maps, including Boston and other Boston Harbor municipalities. Fields is now working with several more in Massachusetts, from Marshfield to Manchester-by-the-Sea, to get FEMA to lower its risk assessments. But she counsels local clients to temper the anger they sometimes direct at the overstretched agency. “FEMA’s job is a hard one — to model the whole coast,” she says. In Rhode Island, some state officials have asked FEMA to consider raising the maps’ predicted flood levels higher, so far without result. 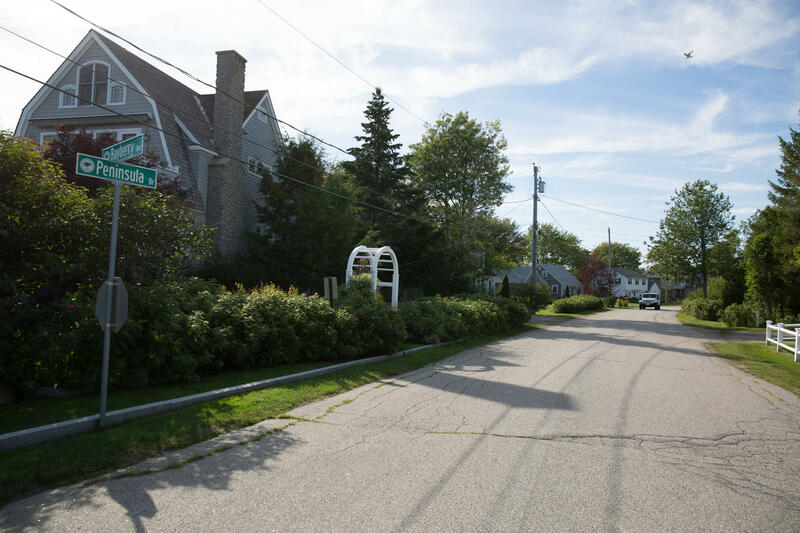 Back in Maine, the coastal towns will need to present comprehensive new data to FEMA by the end of the year to get consideration of whether the flood risk here is overstated. And Foley has a tip — if your home is newly captured by FEMA’s provisional flood maps, it’s a good idea to get flood insurance now, before the new maps are finalized. That way, he says, you can be grandfathered at a lower premium rate.